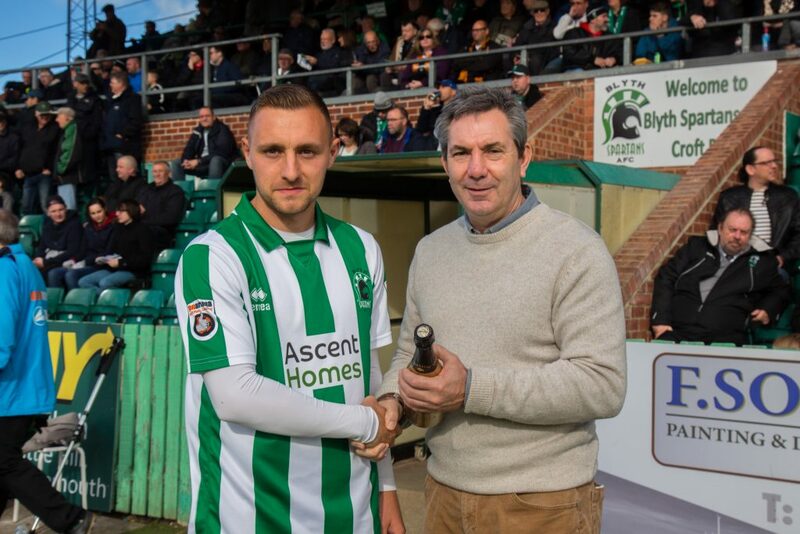 Attacking midfielder Dale Hopson has won Blyth Spartans’ Port of Blyth Player of the Month award for September. Hopson, who joined up with Spartans over the summer, has hit the ground running spectacularly at Croft Park, improving with every passing game. He hit three goals in September as Spartans won four fixtures in a row at the beginning of the month. And the inventive midfielder has carried this rich vein of form into October, scoring a hat-trick against Nuneaton Town. He has scored eight goals so far this season – well on the way to a target of 15 he set before the beginning of the campaign. Linking with Dan Maguire up front, Hopson’s deft touch and creativity has been the scourge of many a defence so far this season. He’s added an element of flair integral to an attack that has so far been one of the most potent in the division.